I read this article and found it very interesting, thought it might be something for you. 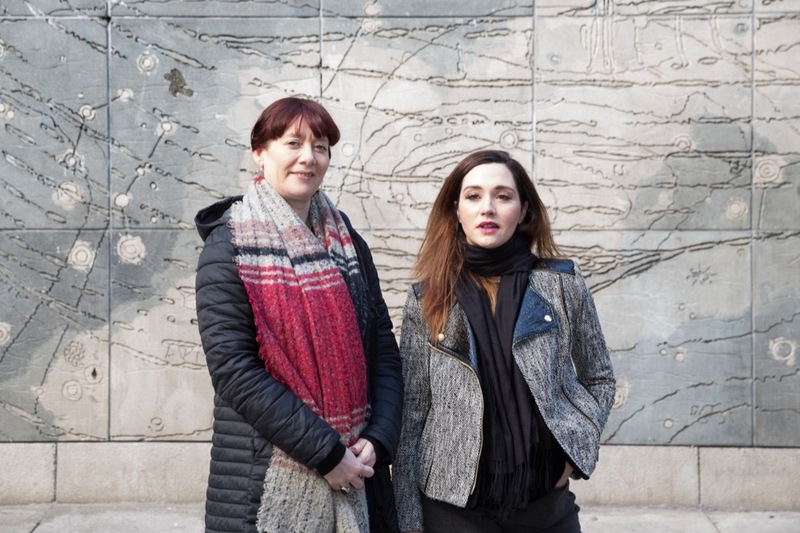 The article is called Scene + Heard at Smock Alley and is located at https://www.totallydublin.ie/arts-culture/festival-features/scene-heard-at-smock-alley/. 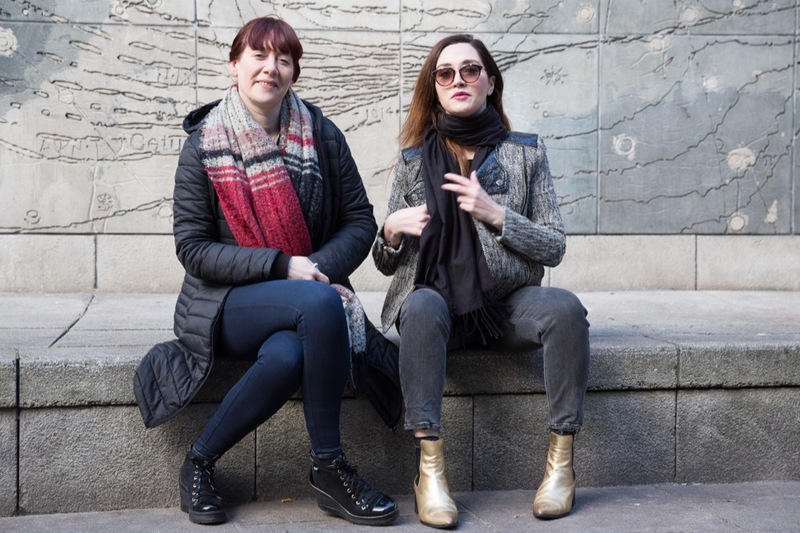 Caoimhe Connolly and Cliona Dukes are the duo behind Scene + Heard, the festival of new work, which hosts its third edition in Smock Alley this month. Scene + Heard has established itself as an event for showcasing new work from a wide range of genres. What has been the secret to its success and survival? CC: Exponential good vibes. From the Smock gang, the artists, the allies (our volunteer programme) and the audiences. There’s an amazing energy, every year. CD: There’s a total feeling of a party and coming together. The programme features artists at all stages of their career – some changing direction or trialing new work and some stepping out for the first time so it’s great to have loads of different people in the same rooms and watch a community forming. And the audience are at the centre of that, feeding back and shaping the work. The buzz over three weeks and 107 shows keeps us going anyway. What is your selection criteria? Who decides on the calibre or suitability of work? CD : We both have opposing views on theatre and remarkably different taste across the genres which makes programming quite a fun time. We read all applications separately and make our own notes and then come together to debate. Loads of variables come into play then. CC: We discuss theme, genre, originality of idea, the impact it might have on an audience member, taking into account the artists previous work, the staging proposal and, of course, the creative team involved in the work. Then we battle! Any particular shows since 2016 which are most proud of in terms of their development beyond the festival? CC: There are so very many shows at this stage sometimes it’s hard to remember them all at once. I feel quite awkward at being ‘proud’ – it might not be quite the emotion. Delighted might be more accurate in that the work finds a wider audience and the artist makes a little money. I think it’s dangerous to congratulate yourself too much on someone else’s’ work. You’re there to act as a guide or a mentor. CD: We celebrate the successes that come out and the fact that there are so many. It’s genuinely brilliant to see shows fully formed and touring the country or internationally and we try and get along to see them in all their glory. Scene + Heard encompasses as broad a spectrum of platforms as imaginable – music, theatre, comedy, circus, dance, drag, children’s theatre & spoken word – was this always its remit or a reflection of the works submitted? CD: It was always the remit. The callout each year is for your most amazing idea regardless of genres. Some shows fall into several categories and we love seeing this and watching people merge music, dance, theatre, clown, puppetry and technologies. A few tips in terms of who we should be looking out for in this edition? Any advice for those who find the number of works on offer overwhelming? CD: The programme is vast so there will definitely be something for everyone. The ones I’m personally really looking forward to seeing are Scream With Us which is pretty self explanatory, The Murder Trust of Iron Mike Molloy based on a true story from 1930’s NYC, The Evaluation of Brian about being judged at the pearly gates, and The Lonely Luchador, a South American wrestling farce. And I’m definitely having A Dinner Date with Death – fed & entertained, why wouldn’t you? CC: For me it’s the music events – Kirkos, EAFA, Jess Leen, our non-binary cover queer Avoca Reaction and the comedy – Paul Currie, Hannah Mamalis, BonMot, Alison Spittle, Liam Nugent, the hilarious Rocket Octopus served with spicy wings and Dublin 8 lager? Delicious. Have you any thoughts on the recent airing of grievances by the theatre community about opportunities on the stage of the Abbey?CD: I confess I was one of the four who wrote that original letter so my thoughts are in line with that. CC: Ha. I have to rein her political crusades in sometimes. She’s just so darn eager to change the world. Sigh. Also I should confess I spent some years working at the Abbey, when first I moved to Dublin. It’s a sick building, with a hugely complex remit. What would really help Scene + Heard to sustain and further its development? Do you feel it has been sufficiently recognised for the amount of work it does in giving a platform to new work? CD: The audiences are growing yearly and long may that continue. Both for the feedback to the artists but also for the sustainability of the festival. We are looking into sponsorship avenues to give us a more secure footing. The Arts Council have come on board with a small amount of funding which helps but when we work with our festival companies during the Producer workshops we offer we do straight up tell them that no-one is handing out money. To get your work made and on tour you need to create meaningful relationships with your audience and find other avenues of financing. So we need to walk that walk ourselves. CC: Sings exit music while playing air guitar … Waaaalk this WAAAAY. Check out our picks of six of the best to catch at Scene and Heard here.